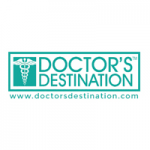 Jobs at Doctors Destination - Jobs Vibhaga - Dedicated job portal for unemployed job seekers. octors Destination is a dedicated portal for human resource sourcing and placements in the Healthcare Industry. With over 15 years of experience in the industry, we have built strong professional relationships with Hospitals and Medical Institutes across South India and the Middle East.